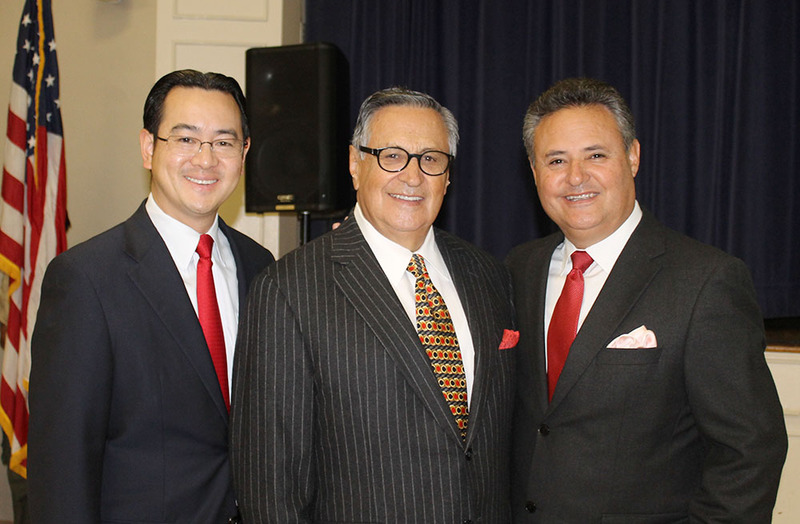 For more than 40 years, City Club members have honored the outgoing and incoming presidents at a formal dinner-dance. Members and guests enjoy an elegant social evening with a cocktail reception, a tasty dinner, and dancing to a local band. Venues have included the San Gabriel Country Club, The Athenaeum at Cal-Tech and local private clubs. Some couples entertain others in their homes prior to the event itself. 40 to 60 golfers participate in City Club’s annual golf tournament with door prizes donated by local businesses and trophies for the best—and luckiest—golfers. The tournament has been held at San Gabriel Country Club, California Country Club (Whittier), Industry Hills (City of Industry) and Brookside Golf Course (Pasadena). A shotgun start launches the foursomes of men and women ad the day ends with an awards dinner. A Callaway competition and a stroke play handicap competition give everyone a chance to “bring home the gold.” The “Pink Ball” competition builds a money prize for two lucky groups. Other competitions include Long Drive and Nearest to the Pin. Non-City Club golfers are welcome to play in the tournament, space permitting. A “Summer Fiesta” is held in June on the patio at El Molino Viejo (The Old Mill), San Marino’s historic treasure. City Club members and their guests enjoy a Mexican dinner prepared by a local catering firm, listen to the melodies played by a classical musician, and celebrate the end of the school year and the beginning of summer. Click HERE to download the City Club SUMMER FIESTA 2018 registration form. 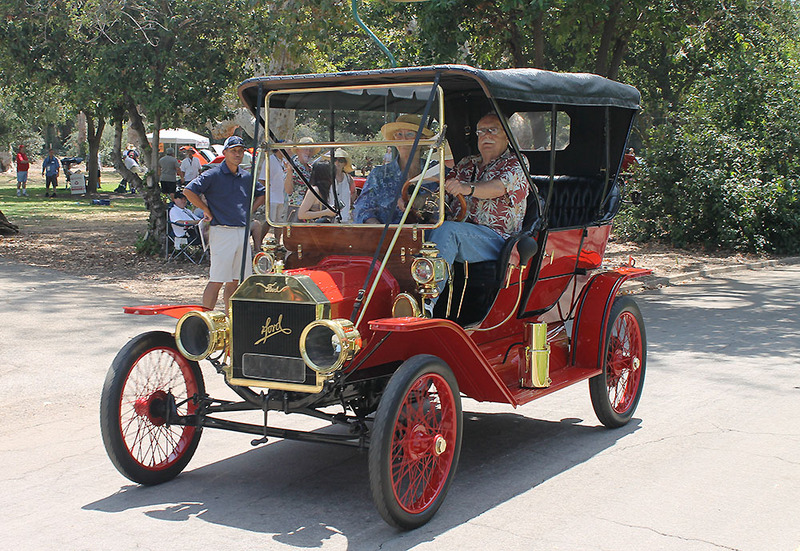 In June 2012 a splendid new Concours, called the San Marino Motor Classic, debuted on the sprawling main lawn of Lacy Park. Featuring nearly 200 classic cars of all eras—from a Brass Era 1909 Pierce-Arrow Touring to a 2011 Ferrari 599 GTO—there was depth and breadth enough to satisfy everyone. 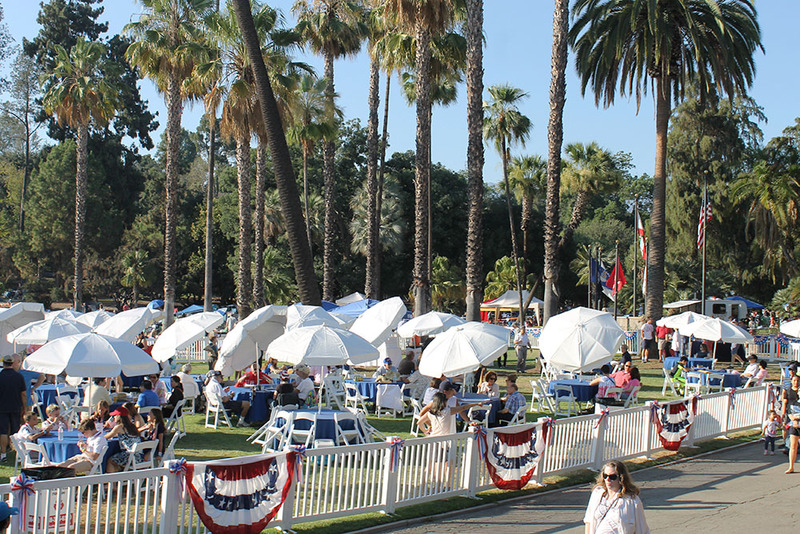 The Concours benefits the Pasadena Humane Society, and the San Marino Rotary Club Charities and City Club has committed its support. For more information and registration to the San Marino Motor Classic click HERE to visit the sanmarinomotorclassic.com website. Along with other community groups, San Marino City Club has traditionally entered a “float” in the community parade that culminates in Lacy Park. The “float” consists of a classic convertible car rather than an elaborately decorated vehicle. The City Club president or another officer usually rides in the car. The Fourth of July Celebration fills Lacy Park and includes games for children, several bands, and a spectacular 25-minute fireworks show which concludes the evening. The Pavilion is an exclusive, premium area in Lacy Park. Enjoy community socializing, entertainment, dinner and beverages. This event is organized by the San Marino City Club in cooperation with the City of San Marino. Advance reservations are required and space is limited. Sports is the theme of the regular September dinner meeting. Children and grandchildren are welcome guests at this meeting. The City Club Tennis Tournament is designed for all levels of players. Members and non-members can participate. Participants are divided into A level and B level players, and each level then conducts a round-robin tournament to select trophy winners. There has also been a special trophy for the best City Club member. Lunch is included. The tournament is held on the courts of the San Marino Tennis Foundation in Lacy Park. Each November, the City Club dinner meeting hosts the Tournament of Roses President along with the Rose Queen and her Court. This is one of our most popular events as daughters and granddaughters attend with our members to meet and dine with Royalty. San Marino City Club encourages the highest standards of citizenship by sponsoring public forums or debates prior to city-wide elections, including city council, school board, and local bond financing elections. The debates are often videotaped for later viewing online.